We have our own memorial day, now we have to make it work writes Superintendent Joseph Gannon. The primary reason for a police memorial is to remember those whose lives were cut short serving their country in the line of duty. To tell their families that their loved one is not forgotten: that the Force remembers them – and always will. This is shown by the numbers attending, and by their demeanour and behaviour. A memorial day is both commemoration and celebration; it should be a meeting place for former colleagues, a reunion for the class of whatever year – more so for a class that lost a colleague, a colleague who will never make it to the memorial day. 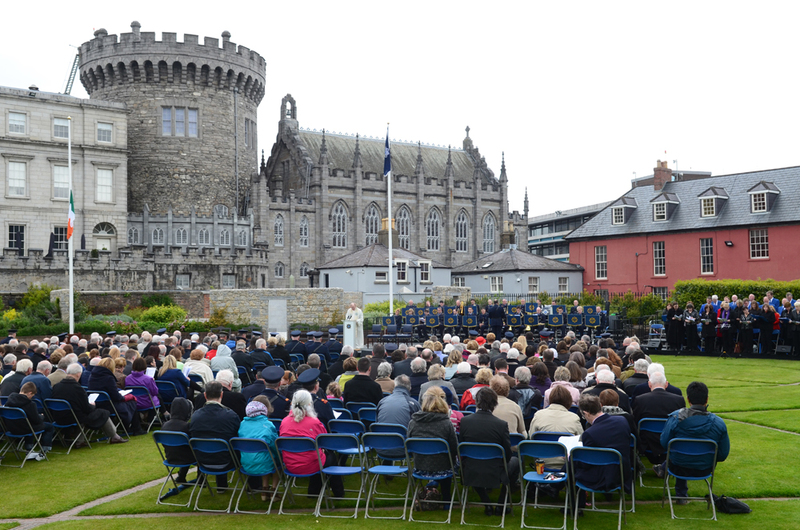 The Garda Memorial Day in Dublin Castle on the third Saturday in May is still in its infancy. If it is to survive, endure and prosper then it has to develop and mature. 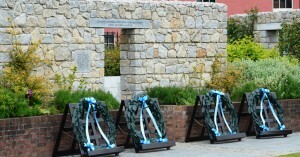 Police memorial days around the world are now showing their adulthood; and have huge cultural impact on visitors. After a solemn service, police officers like to meet, talk, sing and remember some stories and key moments in their service. Once a year, maybe not every year. It takes a little effort, organising, perhaps leadership and lobbying. Every member, serving and retired is invited to attend. Serving members are invited to wear operational uniform. Serving members at a police memorial hold a special significance. Everyone wants a piece of them; to be in their company to be an integral part of the day. Every police officer knows the dangers they face, challenges and problems they meet. But they also know that an instant of mayhem can change everything for everyone. We have seen that 87 times since the foundation of the State. They all have a story. In other jurisdictions there are sponsored cycle rides to the memorial, or airlines give discounts on flights for police officers travelling to remember and honour. But this has to come from the grassroots: no one can be directed to attend because that is not in the spirit of the day. Many members will spend several thousand euro to march in uniform in New York, Boston, New Orleans or Washington DC in their St Patrick’s Day parades at least once in their career. But this is a day at home, every year, that could become something special. 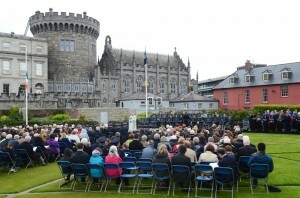 When the last post fades away from the lone bugler, we all feel the sadness, but as the last note sounds and the Garda Band break into the national anthem, we understand that the loss of gardaí has built a nation State that has had a turbulent beginning in its first century as a Republic. 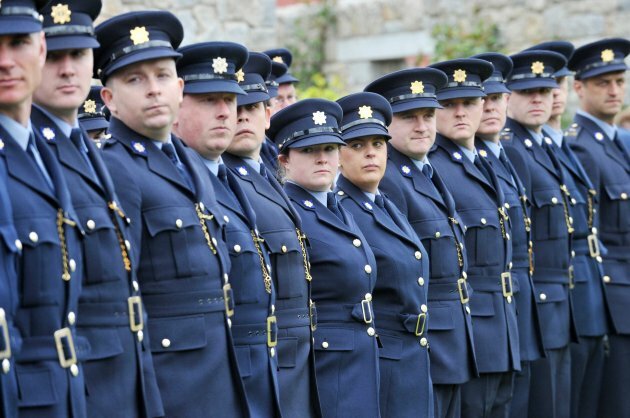 If we start building the reputation of the Garda Memorial Day now, it will be a central event in the centenary celebrations of the formation of the State. That is only six years or so away. There’s much to be done. These special times aren’t built overnight. There is a bonding process that we have seen at the funerals of serving members, especially those who lost their lives in the course of duty. The biggest turnouts have always been for those members murdered while facing down the threat of armed criminals. The attendant camaraderie of the members and families only begins at that moment, and should also develop and mature as the years pass by. It is incumbent upon us all as police officers to rally to that call, and to let time weather us together and show that through this death a new bond was created that would endure. The families of our fallen colleagues deserve that, as would our own loved ones if it happened to us. That is the principle of insurance, solidarity and collective that bonds us together in the garda family. One of the by-products is a level of good public relations that cements our reputation in the public mind. To see a large turnout of serving and retired members supporting the day, reminds the public of how much they owe to those who gave their lives, those who risk their lives and the fear that every police family has when their loved one goes to work. We are fortunate in the B district to have this sacred space within our borders. 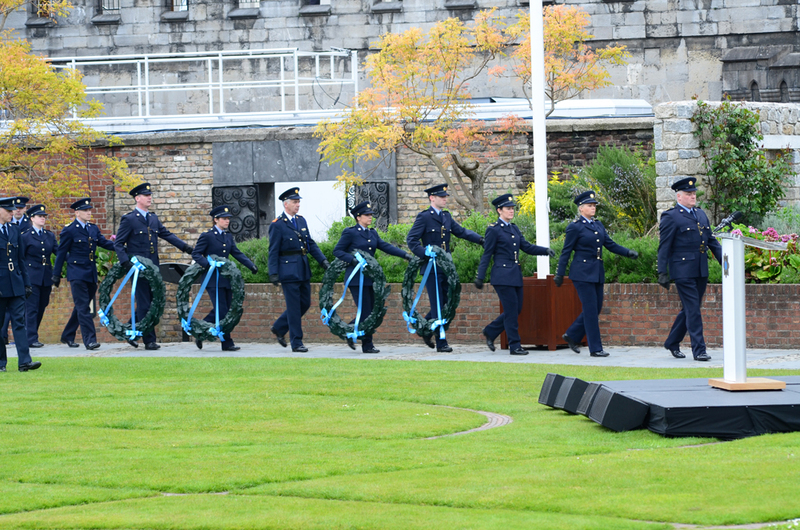 It is with great pride that members volunteer for the guard of honour every year. Those whose names are on the memorial wall will never grow old. An often repeated quote never loses its potency, from French philosopher Paul Ricoeur, who simply said that “to be forgotten is to die twice”. On behalf of all serving members, we must ask ourselves to make an effort this year. 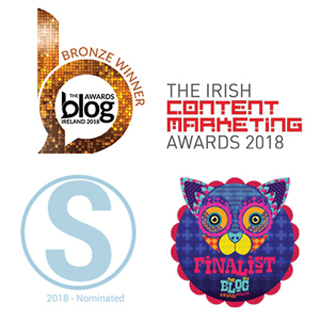 I’d like to see you in Dublin Castle on 16th May this year. The commemoration starts at 12 noon and ends whenever you want it to; for some it never ends.